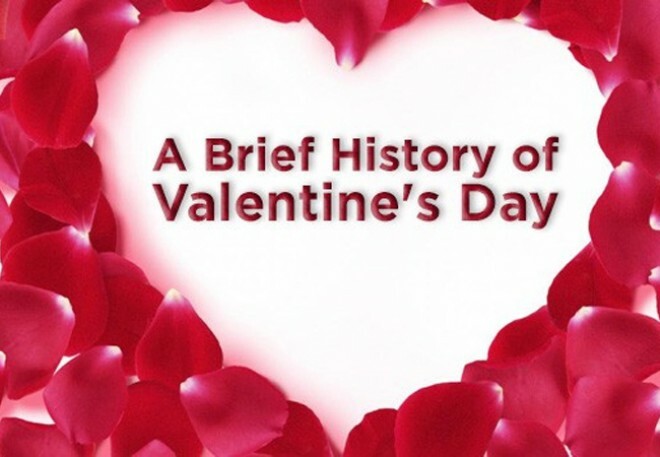 The holiday we know today got its name from a man named Valentine. While a few different stories are told about what he did to inspire the holiday, many people believe he's celebrated for his role as a Roman priest who helped couples secretly get married. He kept the ceremonies quiet, but he was eventually caught and later killed on February 14 of the year 270 for defying the emperor. Right before he died, Valentine supposedly wrote the first-ever "valentine" to his jailer's daughter, with whom he'd fallen in love. Later, in the 5th century, Pope Gelasius I declared the day of his death as St. Valentine's Day. During the festivities, it's said that boys drew the names of girls from a container. The pairs would stay together during the festival, and some would actually get married when the festival was over. Valentine's Day traditions have evolved a lot over the years. For example, in the Middle Ages—which lasted from the 5th to 15th centuries in Europe—people started exchanging handmade cards with love notes inside. Today billions of dollars are spent on Valentine's Day cards and gifts each year around the world.